At first, the humble ukulele seems like a rather unassuming instrument. It is small, portable and has only four strings, which may lead you to believe that it’s an instrument only fit for those who don’t take playing music very seriously. But once you start playing a uke, even if you’re a veteran guitarist, you’ll discover it can be as complex and interesting as a violin. So before you start googling for the best ukulele for beginners, ask yourself what you want of it, because there are an unbelievable amount of variations on the form. 2 What are Different Types of Ukulele? 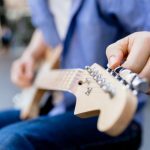 5 What to Consider When Choosing a Ukulele for Beginners? 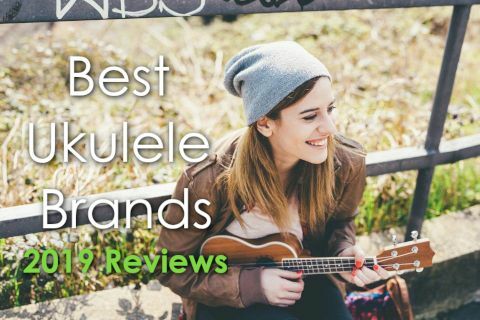 It’s a complex task, and there are no hard and fast rules for finding which one is the best ukulele for beginners because you first have to choose what type you would like to play. Further down you’ll see some reviews of some popular Ukuleles, and I’ve included a chart so you can see what each different type of Ukulele is. But first, a little history. The ukulele is most commonly associated with Hawaiian music, and it’s difficult not to associate its sound with, for instance, the Hawaiian Israel Kamakawiwo’ole’s classic rendition of Somewhere over the Rainbow. However, the instrument has its roots in the era of Portuguese colonialism and a man named Edward William Purvis, known for his expert playing of the Machete, a kind of Portuguese guitar. After the King of Hawaii, Kalakaua, popularized the instrument, it became Ukulele, a Polynesian word for jumping flea which suits its style and stature. Eventually, the little instrument became po pular in the US, and from there, its use spread across the world. As time went on, makers began to offer variations on the Ukulele. What are Different Types of Ukulele? This is the most common ukulele you will find, also known as a standard. It measures around 21 inches and is usually tuned to G, C, E, A, 4 octaves above middle C. It has between 12 and 15 frets. The concert Ukulele is a similar size but with a generally deeper body to make a larger sound. It also extends the range with up to 18 frets, meaning greater tonal versatility. 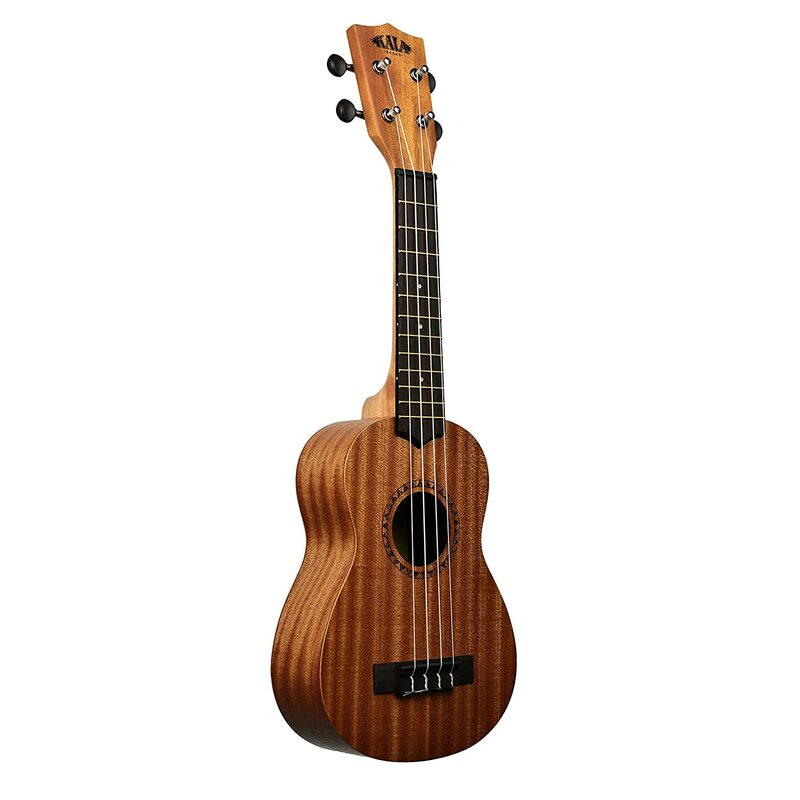 The tenor is larger than the soprano and is the first of the Ukulele family on which you can play the deeper notes. 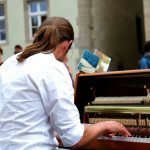 It generally measures around 26 inches, with a scale of 19 notes available, including a lower G3 which can be tuned on the 4th string, making it quite a versatile instrument. The baritone is tuned even lower than the tenor, it’s 4th string usually tuned to a low D, at 3 octaves above middle C.
The Bass Ukulele is probably the most like a guitar a ukulele can get in terms of tuning. Its standard tuning goes as low as the bottom string of a guitar but generally continues with the four string format. The Contrabass Ukulele, not to be confused with the Contrabass, is an unusual, modern innovation, designed first in 2014, and still fairly rare on the market. Tuned actually the same as a bass guitar, it uses either metal wound or rubber strings, which give a unique sound that you perhaps wouldn’t associate with ukuleles. For a long time, as the recording industry took flight during the 20th century, the use of the ukulele was seen as something of a novelty. In fact, many saw the instrument as something of a joke, harking back to the days of comedians like George Formby. However, in large part due to the age of the viral video, the ukulele has had something of a comeback. It is seen as something a bit more accessible than a guitar, with nothing of the pretentiousness that comes with it. 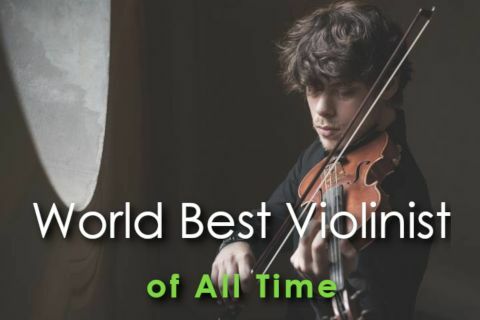 A cursory glance on Youtube has videos of some very unexpected people playing the ukulele, ranging from actress Zooey Deschanel to Dwayne “The Rock” Johnson, all fairly proficient uke players. It’s very easy to sneer at the increase in popularity of the ukulele as something of a fad. 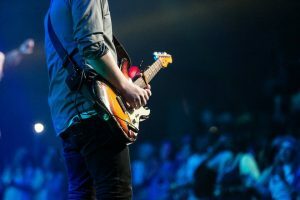 But when you consider that the guitar has not been long in use as a lead accompaniment, you might wonder whether the ukulele is now here to stay. 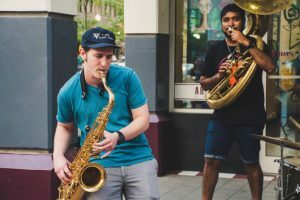 The decline of the record industry and the increase in user-generated music on the internet has meant that more compact, affordable musical instruments have been picking up where the big instrument manufacturers have been declining. Now might be a better time than any to pick up a Ukulele. What to Consider When Choosing a Ukulele for Beginners? Whilst it’s important to consider the price when getting your first ukulele, remember that though they are on the whole cheaper than guitar, you will get what you pay for. So if you buy for instance one that is under $40, it is going to be made out of plastic and it will not stay in tune. It is best to go for something which has a little quality – an extra $20 will get a whole lot more quality per square inch. Another thing is that it’s worth thinking about is that ukuleles, whilst being one of the most portable stringed instruments, are also quite delicate and won’t take too much of bang if misused. So it’s wise to invest in at least a soft-case to save it from dings. Donner have been manufacturing instruments since 2012 and started out creating effects pedals for guitars. 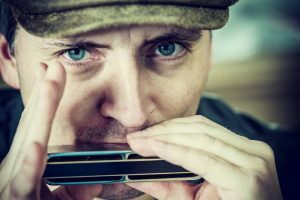 Since then they have branched out into keyboards, wind instruments, sound equipment – and ukuleles. 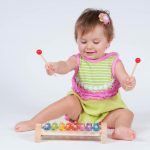 Though they’ve not made the ukulele central to their business model, these instruments will suit both the beginner and the professional player. The ukulele packaged here is a concert, 23-inch product with the full 18 brass frets. It’s a little on the large side, but that means it has plenty of punch and clarity. It has customer-made chrome plated tuners and a rosewood fingerboard. Its construction is of solid mahogany which gives a rich warm resonance, coupled with soft carbon nylon strings that come fitted as standard. The rosewood bridge, which is an unusual choice, actually gives a beautiful look as well as a clarity to the pitch range. Every model comes with a wonderful looking ukulele bag, complete with emblazoned palm trees. It also comes with a tuner, which would prove invaluable for a learner, plectrums for those who want to give a strum, a strap and a spare set of strings if you strum too hard. Bridge setup can be a little fiddly at first. There’s a certain expectation from Martin-built instruments. They are what is known as a prestige brand. Founded in 1833, Martin have been making a name for themselves for well over a century, and their guitars count amongst them some legendary players. They first produced ukuleles back in 1916 and have been going strong ever since. A vintage 1930s Martin ukulele can fetch many thousands of pounds at auction, and many of their instruments are out of range for a casual player. The Martin T1K Tenor Ukulele is slightly different. Realizing the market has shifted, Martin have produced a more affordable ukulele, but continuing to use the skills which have made them an iconic brand. By no means, though, is this a cheap instrument. Opting for authenticity, they have used solid Hawaiian Koa wood for its back, sides, and top which give it an extra boost – it is a loud instrument for its size! It has classic Grover tuners, which are often found on quality instruments, making tuning the instrument a smooth and comfortable experience. The aesthetic of the uke is simple but elegant, and a Martin patented dovetail joined neck, which adds to its natural volume. Cordoba are a somewhat clandestine musical instrument manufacturer. Founded in 1997, they operate seems obscure brands of guitars and accessories, such as Aquila and Savarez. They became a little better known through their electric guitars once they bought Dearmond and even better known once they acquired the prestigious Guild acoustic line. Under their own brand name, they have made it a mission to create legendary acoustic instruments and a return to the fine art of the luthier. For the Cordoba 15cm Concert Ukulele, they have not made an exception and brought on board legendary guitar designer Pepe Romero Junior. It is an extraordinary length to go to for such a small and inexpensive item. The back, sides, and top are all made of solid mahogany, which though a little weighty give the sound a lovely sheen and resonance. It has a comfortable C-shape neck, also of mahogany and a composite fingerboard. Like the Kala it uses durable Aquila NylGut strings which are light and clear when struck. Aesthetically, it is a simple looking instrument, with its very effective flair centered on the startling abalone rosette that surrounds the sound-hole. Lanikai have been around for a while now, since the first boom of the ukulele industry in the early 2000s. Initially, they were designed by Mike Upton who would later go on to found Kala, and were created for Hohner with those wanting to buy a uke on a budget. As such, this model does feel a little less robust than the others on this list. It is built of nato wood, which, though not giving it the resonance of higher priced instruments but holds its own fairly well when perhaps if you’re jamming with other Uke players. 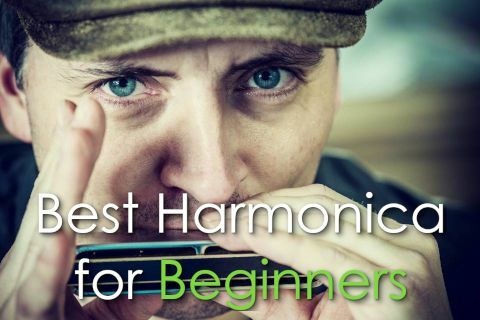 It offers a basic founding experience for first-time players as well and holds tune reasonably well if it’s not thrashed too much. As it’s a soprano, the build quality can make it feel, at times, like a toy rather than a musical instruments, yet it still feels better to play than a cheap and nasty plastic uke, some of which are sold at a higher price than this one. All in all, the Lanikai is made for the player on a budget and is actually pretty good for such a low price. Caramel Ukuleles are a fairly unknown brand, but since 2015 have been making headway in the field of innovative design for ukuleles. Often choosing interesting looking materials to build their instruments they tend to have a rather unique aesthetic, and at times pay tribute to classic guitar design, such as Ovations offset sound-holes. 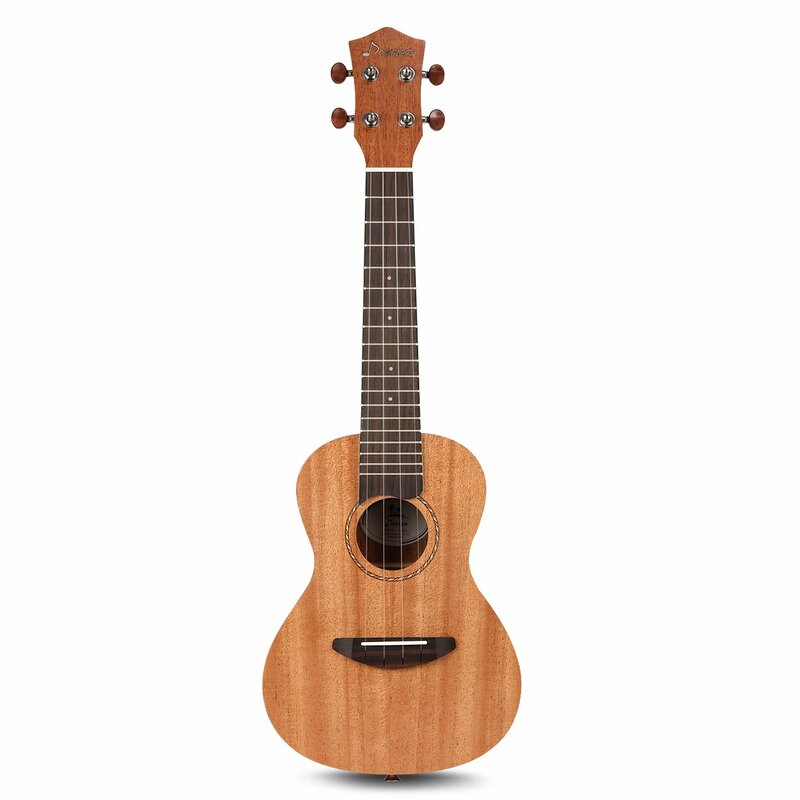 Here they offer not only a Baritone ukulele but one that incorporates piezo active pickup. Like quality acoustic electrics, it features a 3 band EQ so you can manipulate the sound to fit your gigging and recording needs. As a baritone, it has a great deal of versatility that you can play with, and is made of some quality materials, including the distinctive ‘Zebra Wood’ that makes up its body. It is quite robust and though the wood is light, the truss rod which braces the neck, (not featured on most smaller ukuleles), make it rather top heavy. However, the tone more than makes up for it’s heaviness, and it has a gorgeous walnut fret board which gives the neck a really classy feel when playing. On top of that, as a baritone, it is loud acoustically, so the electronics are an added bonus. Kala are the biggest name in ukulele manufacture. Back in 2005, founder and lifelong player of ukuleles, Mike Upton was working for Hohner as a sales representative. Genuine Hawaiian ukes are not cheap, and so there was a gap in the market for high-quality mid-priced ukuleles, which he took advantage of when he struck out by himself by founding Kala. Since then it has gone from strength to strength and offers a holistic experience for first time players and professionals. 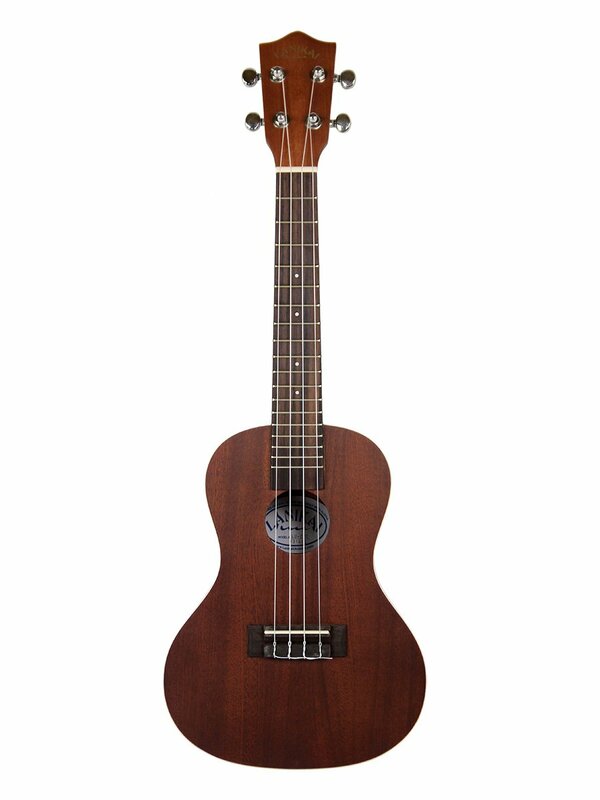 This package includes a Kala Soprano Ukulele. It is a mahogany build which means it is super resonant and an easy to play walnut fingerboard. 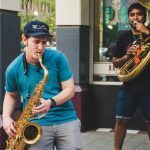 Important to its sound are the NuBone saddle and nut, which give it a crisp, clear tone and help give it an intonation crafted specifically for first-time players. It comes ready strung with Aquila Super Nyglut strings, which you will find on any of the higher priced ukuleles, both durable and easily tuned. 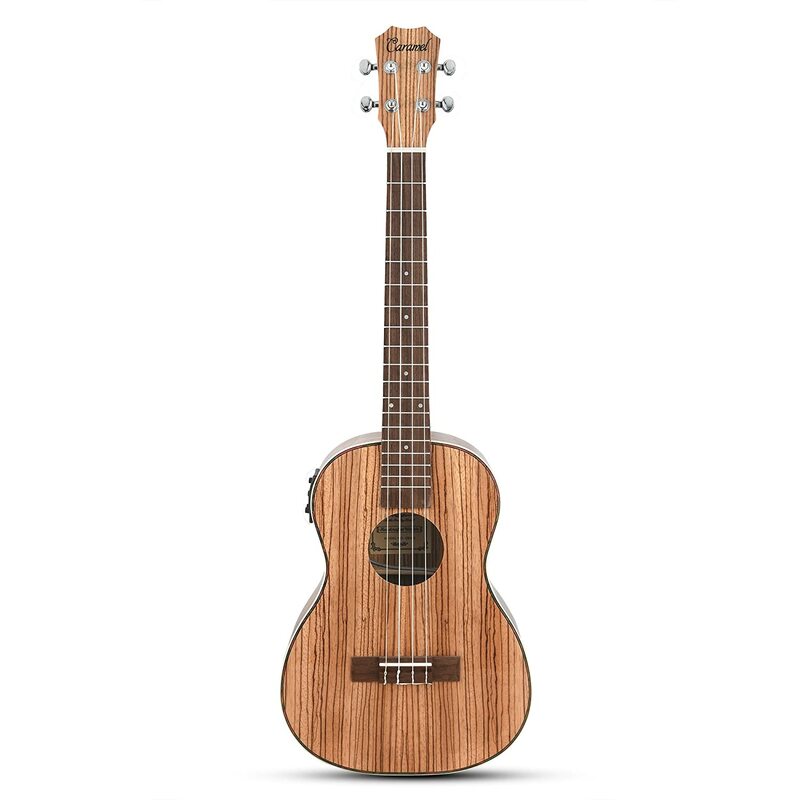 Additionally, Kala have become leaders in the field regarding tutoring first-time players, so not only will you get a soft-cover case to take care of your uke, but a guide to tuning and playing your ukulele, which for me makes this the best ukulele for the beginner. I’m hard pressed to find any real cons to this model! As I hope this article has shown, the craftsmanship that has been going into these wonderful instruments is every bit as good as the higher priced guitars. Where once electric guitars were the go-to instrument for aspiring musicians, ukuleles have been fast catching up. For those who have already started investing in musical instruments, you might consider going also for a ukulele, which though complex at first is always an excellent addition to any collection. 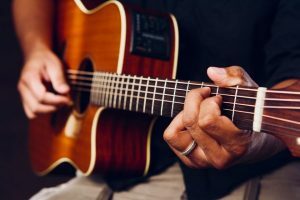 Though, as a novice, you might be looking for the best ukulele for beginners, you may find that in searching you will actually find some very decent quality instruments for a professional.